Bronchogenic carcinoma often does not present any palpable signs until the disease is already well advanced. Thus the disease, which is most common among individuals between the ages of 45 and 70, has a very poor prognosis. When symptoms do appear, they heavily depend on the exact location and extent of the disease, but often include coughing, wheezing, chest pain, shortness of breath, bloody sputum, frequent respiratory infections, and weight loss or loss of appetite. 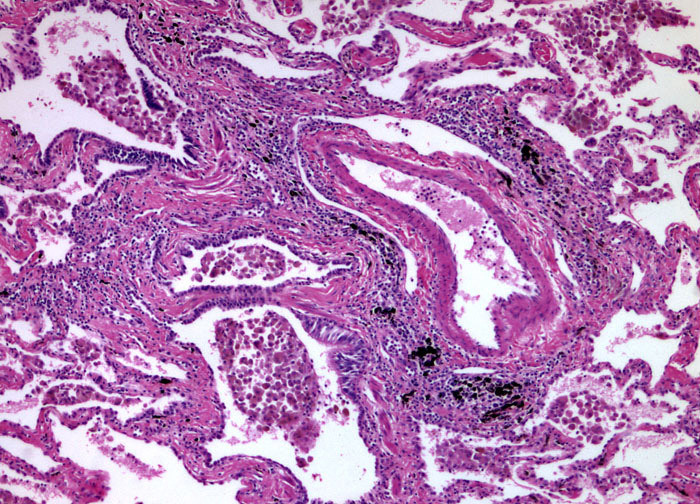 Occasionally, bronchogenic carcinoma is asymptomatic and is discovered incidentally during a chest x-ray or other exam. In recent years, several large-scale studies have been carried out to determine if regular chest x-rays or sputum analysis would be beneficial for smokers or other individuals at high risk for lung cancer. The findings of the studies, however, suggest that though such screening sometimes results in earlier detection of cancer, the overall survival of patients does not seem to improve in association with early detection.